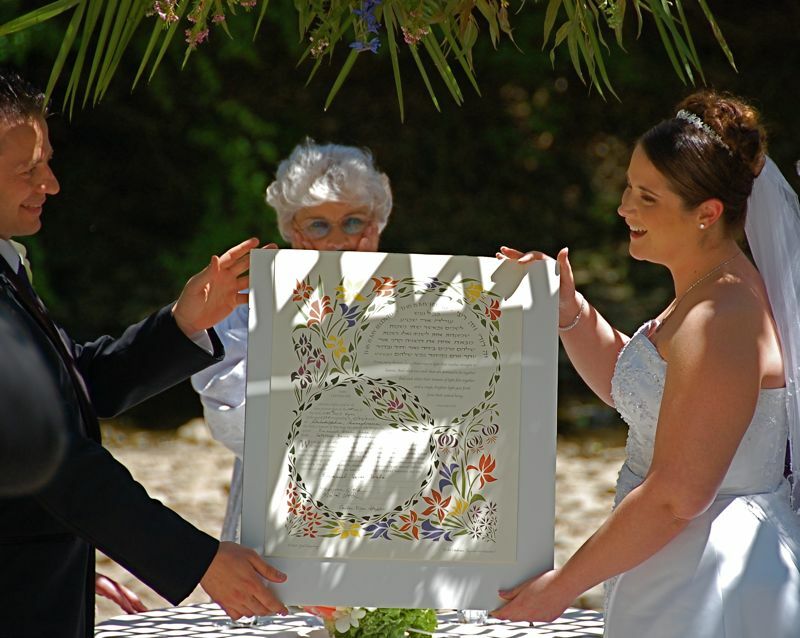 The ketubah (correct me if I'm wrong on the spelling--I googled it) is the Jewish marriage contract that the groom presents to the bride during the wedding ceremony. I have an image that I took seconds before this one. Manny's face has a precious look on it, one filled with hopeful expectation that Cathleen will accept this contract. This is the second photo, taken as she receives the ketubah. The contract itself is exquisite, but I think the facial expressions are even more engaging.